This is an excellent work in wrapping. i´m wrapping cars also by myself and its usually impossibly to wrap a car inside the doors. @BARNIE: The Company which made this is the biggest Company in Germany which wrap cars, called INTAX. I´m buying their my foil, they produce also the foil by themselves called folioCar Q4. I would think a half-million-dollar supercar like that would use carbon fiber body panels almost exclusively throughout the construction. Therefore “wrap” would still be an accurate term, in that the aesthetic 800K carbon top coat would be chosen, cut, and laid-out for uniformity, on top of the unidirectional/non-aesthetic structures. 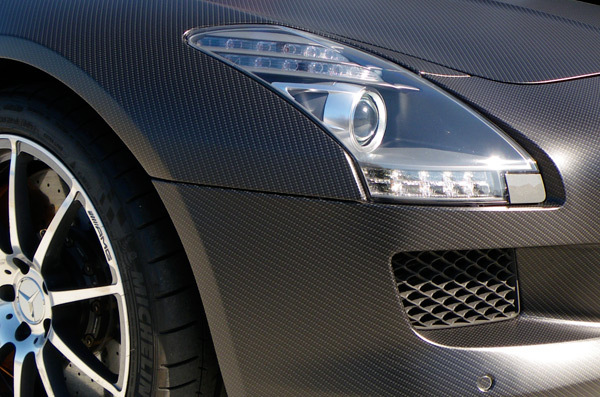 The “weave” pattern typically associated with carbon fiber structures is often used as an aesthetic top layer to give the representation of carbon, which is then duplicated badly in vinyl wrapping on ghetto products. The “real” carbon fiber - the sheets that make strong and light structures - is most often unidirectional, and has an interesting appearance, but not one that joe-on-the-street would identify as the blingy stuff. What a great job love to see it up close. For all the knockers - It is not trying to deceive any one or take anything away from the guys that produce real carbon fibre parts. I think it just needs to be admired and respected for what it is a bloody good wrap. If anyone thinks its easy to wrap cars should have a go and post some pictures. I bet you’ll find it a bit harder than it looks. Would love to know what company wrap the car and what film they used. I heard that a carbon fiber vinyl wrap makes your car go faster due to better aerodynamic flow. Great. A beautiful car now basis its entire presence on deceiving people. Thanks, I just thought it needed a bit of clarification, at first read. 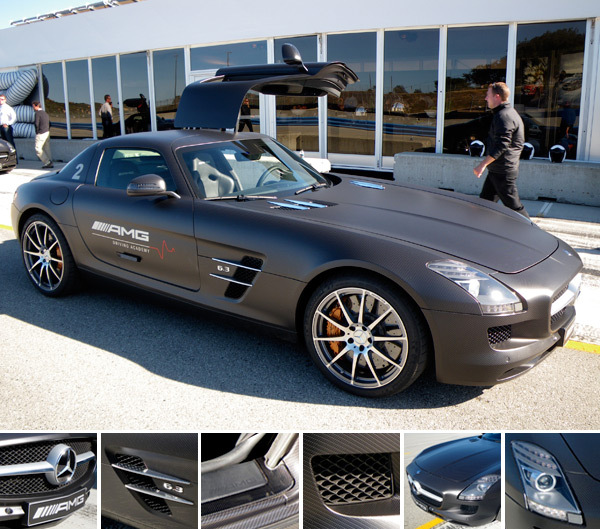 The way its stated, its as though you’ve come across some new carbon unibody AMG. 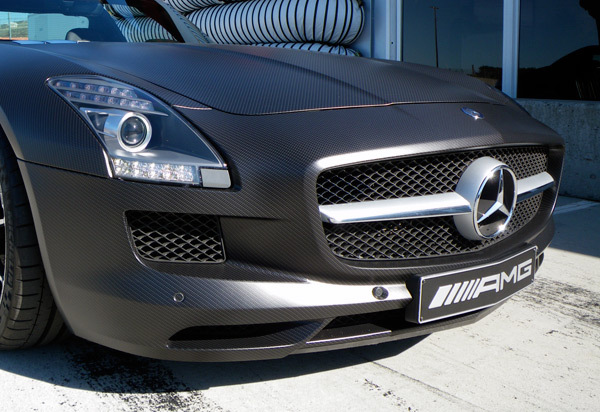 The car is not overwhelmingly carbon fibered, its overwhelmingly decaled. I build carbon interiors by hand and understand the work that is involved in each piece. With posts worded like this, average kids cant tell the difference, and run around telling all there friends Mercedes has a completely carbon car, and you loose respect for whats actually involved in your craft. 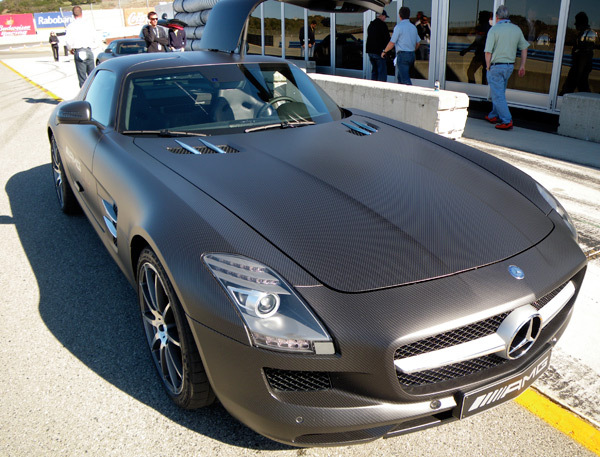 While it is a beautiful car, the fact that it has a vinyl wrap is just kind of depressing. This Mercedes shouldn’t have to apologize for anything, as it is an amazing car, yet here it is pretending to be something that it is not. I don’t mean to kill your buzz or anything. 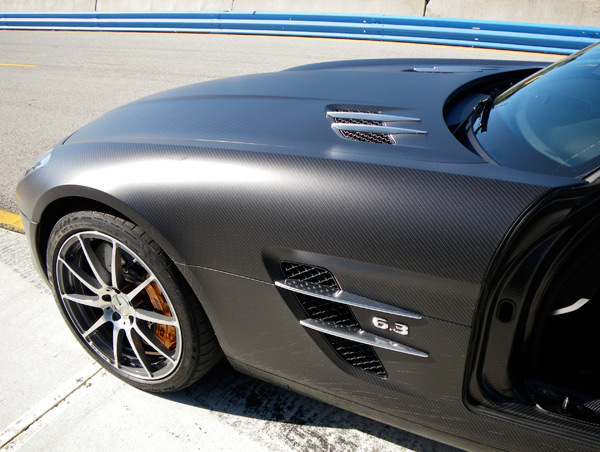 But due to the dull finish, and the way the weave does not flex in corners, It appears as though this AMG, has a high quality vinyl wrap on top of the stock shell. 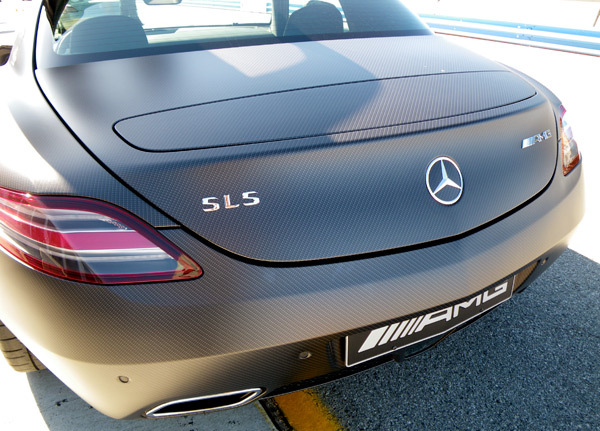 The vinyl has carbon printed on it, but its very doubtful the entire car itself is carbon. You can see in the door photo, where the real carbon door sill is set next to the vinyl wrap inside the door.